Hello!!! 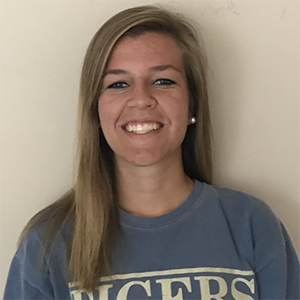 My name is Sarah Beth Bailey, and I am a sophomore in the Nursing Program here at Anderson University. This was my first summer at Crestridge and I was so fortunate to be able to serve in the Choctaw village (rising 9th graders) this past summer and it was the best two and half months of my life! It was so incredible to walk through life’s joys and hardships with them as they experience how sweet Jesus is through all phases of life! Living in the mountains is just one of the many perks of getting to work here. The amount of growth I experienced, love that was poured out on me, and gentle community that surrounded me here at Crestridge are just some of the things that made me fall in love with it! Camp is filled with constant laughter and is a place where girls can 100% themselves! It’s such a privilege to work here and bear witness to the crazy awesome things Jesus does here and I encourage you to pray about living in the mountains next summer! My name is Delaney Greer and I am a junior Elementary Education major at the University of Arkansas!!! I have spent 13 summers at Camp Crestridge (10 as a camper and 3 on staff) and I’m still going!!! Camp is the best thing that has ever happened to me and I wouldn’t trade it for the world. The community that I have found at camp is unlike anything you will ever experience. They are so encouraging and push you to be the best version of yourself and push you in your relationship with Jesus. I have grown so much as a believer and as a person because of camp and the people who work here are seriously the best people I have ever met. They are so selfless and they really get to know and love you. I also love how camp is such a unique experience and we really emphasize the Gospel and Discipleship. If you have a passion for the Lord and kids, this is for sure the place for you. These kids crave to know more about Jesus and it’s our job to tell them!! Don’t miss out on a summer of a lifetime. I promise you won’t regret it. Crestridge will always have my heart. If you have ANY questions, don’t hesitate to reach out to me via email!!! Hello!! 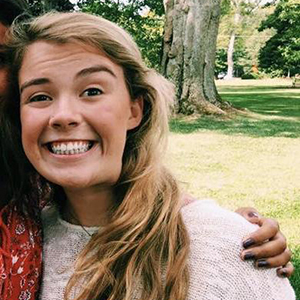 My name is Katy Grace Liscomb, I am currently a student at Auburn University studying communications. I had the privilege of working at Camp Crestridge this past summer, and I was a camper for seven summers so this beautiful place is my second home. Not only as a camper but also as a counselor, Camp Crestridge has given me the best memories of true discipleship expressed in pure joy. Camp is such a great representation of what it is like to live for The Lord while building stronger relationships with other followers. I got to work with 10 year old this past summer and wow, God teaches you so many things through children. The way they love on you instantly was such an incredible reminder each day of The Lord’s unending love for us. Whether you are passionate about high schoolers or kindergarteners, your experience at Camp Crestridge will be unforgettable. Who doesn’t want to spend a summer in the gorgeous mountains of North Carolina worshipping Jesus and getting messy with sweet kiddos!? Hey!!! 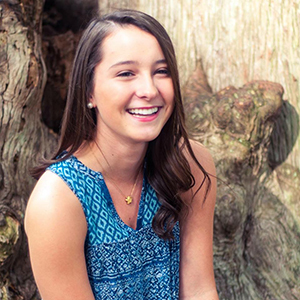 My name is Molly Messerly and I am a sophomore communications major at Auburn University. This past summer was my first year at Crestridge, and hands down the best summer of my life. I was a counselor in the Chickasaw village, working with the sweetest 10 year olds. These girls have the most spunky personalities and love to be silly. Even at 10 years old, The Lord was so evident in each and every one of their lives, and it was so cool to see God work in crazy ways through them this past summer. Not only did I see him work in the campers lives, but also in mine. The campers poured unknowingly into my life every single day along-side the staff. The community at Crestridge is unlike any other. Surrounded by other Christ followers that constantly encourage you in your faith every single day is like a breath of fresh air. The staff really lives out biblical community and has given me friendships that will last a lifetime. 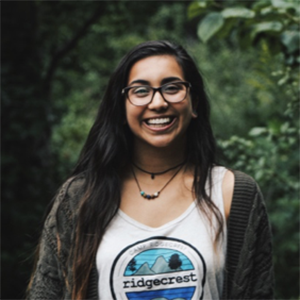 Having the privilege to work at Camp Crestridge was such a life-changing and rewarding experience that I hope you will get the chance to experience too! Please contact me if you have any questions. Hi! 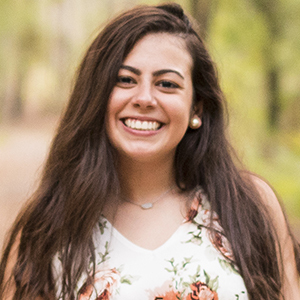 My name is Isis Escandon and I am a Health Education and Behavior student at the University of Florida entering my final year in undergraduate studies (GO GATORS!!!). This previous summer, I served at the one and only Camp Crestridge as a Cherokee counselor. There is no other place quite like Camp Crestridge. 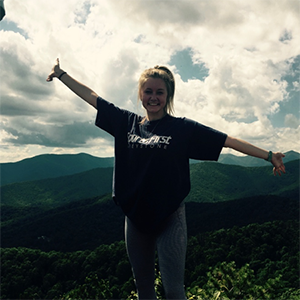 It rests marvelously in the mountains of North Carolina and it offers us a glimpse of how spectacular our Creator God is, and how wonderfully He designed our Earth with His own two hands. Through camp, I was able to flourish in my relationship with the Lord. It was so awing to know that He had entrusted me to share His word and love with others through cabin devotions and bible studies. At camp, you are truly partnering with the Lord to build up His kingdom and to bring the Good News to so many of His precious loved ones. I loved being able to connect with my campers and with our staff and having the opportunity to be with such incredible people all summer long! Pray about coming to camp! Let the Lord show you what He can do through you for one summer! 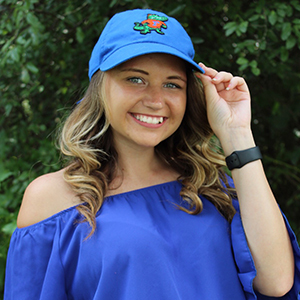 My name is Marissa Rose and I’m a junior at the University of Florida (GO GATORS!). My major is Family, Youth, and Community Sciences, with a minor in disabilities, and my career goal is to be a pediatric occupational therapist! I had the pleasure of spending this past summer at Crestridge, and it was truly a life-changing experience. I went in not having any ties to camp whatsoever, and now I consider it a second home. Living in the breathtaking mountains of NC for 10 weeks was absolutely amazing, and I was constantly reminded just how amazing and BIG our Creator is! Camp challenged me to grow in all areas of my life, especially socially, emotionally, and most of all spiritually. If I had to pick a favorite aspect of camp, it was easily the solid bonds I formed with not only staff, but my amazing Catawba campers. The staff that surrounded me continuously pushed me to do my best and were so encouraging all of the days I was there. We laughed, adventured, cried, and most importantly sought the Lord with one another, and I truly met some of my best friends. Camper relationships are unbelievably cool, and from getting drenched in gallons of paint to long, deep, CP talks, it was a whirlwind of experiences I will always hold close to my heart. Ultimately, Crestridge taught me to fully rely and trust in the Lord and provided me with the best summer of my life. I HIGHLY recommend dedicating your summer to come spend your summer loving on kids and seeking the Lord; you won’t regret it! Hey friends! I'm Kerri Shook, and I'm a sophomore at Florida State University majoring in Family and Child Sciences. This past summer was my first summer at camp, and it was probably the best summer of my life. I was a counselor in the Cherokee village working with 14 & 15 year old girls. They were so crazy and fun yet so wise. One of my favorite memories was at the dance party on Miss Universe night. No one else was dancing except my cabin, but we all danced our hearts out and didn't care what anyone thought. Crestridge is a place that girls can be vulnerable and completely themselves. Each unique experience at camp wonderfully integrates fun, adventure, and growth. The Lord uses these bizarre and fun experiences to further His kingdom and lead campers and staff closer to Him. Hey guys!! 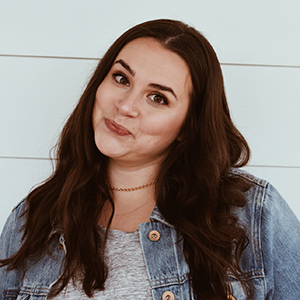 My name is Ashley Valencia, and I am a junior at North Greenville University pursuing an Intercultural Studies degree with a minor in Psychology and Spanish! This past summer I was blessed to return to Crestridge and continue serving through adventure and discipleship at my home away from home. I returned for the kids, who are a constant reminder of God’s joy and love. I was part of an incredible staff that focused on serving God by loving and laughing with the most wonderful campers ever! I have been all over the world, but I can tell you that Crestridge is my favorite place. When I first started, my main goal was to bless others, but instead, I found myself blessed by God’s beautiful creation and the sweetest, craziest campers! Crestridge is perfectly designed to serve girls who are seeking not only adventure but discipleship, and because of this, I have made the greatest friends and memories with girls who always put a smile on my face; I know these friendships are everlasting! What a privilege it is to work at Crestridge and to have the opportunity to be the source of truth and light in the lives of these girls while they teach us about life and joy themselves. Wow, I love camp!!! I would love to tell you more about Crestridge! Feel free to contact me.